The Crazy Ivan 10/22 stock is pricey, but it brings a unique combination of low weight, high modularity, easy disassembly, and heirloom-grade durability. Other AR-style stocks can offer one or more of these traits, but only the Crazy Ivan stock has all four. Additionally, it uses off-the-shelf, unmodified AR-15 free-floating handguards which stack with the stock's all-aluminum construction and receiver thrust screw to make this stock as accurate (and sturdy) as a 10/22 stock can be. However, the Crazy Ivan stock's comb height does not match with AR-height sights and/or optics without using a comb riser, and the buffer tube (receiver extension) mounting location can be uncomfortable depending on how you grip your rifle. With those caveats in mind, the Crazy Ivan 10/22 stock system is still money well spent, and is one of the best (possibly the best) ways to get AR furniture onto your 10/22. The Crazy Ivan stock is an unusual two-piece stock design, with the upper section mounting to the 10/22’s receiver and acting as both optic rail and handguard mount, while the lower portion hosts the grip and buttstock. The 10/22's single takedown screw then locks the two halves together, giving metal-to-metal contact and hugely increasing the sturdiness of the assembly by matching the contours of the top and bottom halves. 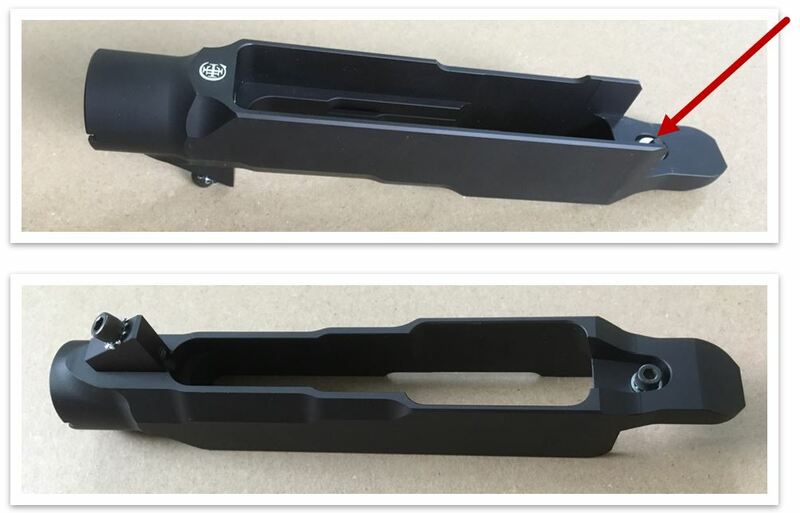 Top and bottom views of the lower portion of the stock. The plastic retaining washer is a nice touch that captures the takedown screw in the stock even when disassembled. Perhaps one of the Crazy Ivan stock’s smartest features is the integration of the optic rail and handguard, which effectively applies the force of any torqueing or jerking on the handguard to the entirety of the 10/22’s receiver, rather than just the front of the stock. The design is sturdy, makes disassembly and re-assembly a snap, and spreads most of the load onto the area around the action screw (as it should), but it does ask a lot of the soft aluminum scope mount threads in the 10/22’s receiver. We found that the threads were up to the task, but just be sure to use some threadlocker and torque them to the correct in-lb. Top and bottom views of the upper portion of the stock. We would prefer to see a few lightening cuts or holes under the optic rail – it’s a pretty beefy hunk of billet aluminum. Unlike most 10/22 stocks, the Crazy Ivan stock helps prevent the barrel from being wrenched in the soft aluminum receiver by wrapping a free-floating handguard around it, boosting accuracy while also doing good things for the gun’s lifespan when you start banging it around. 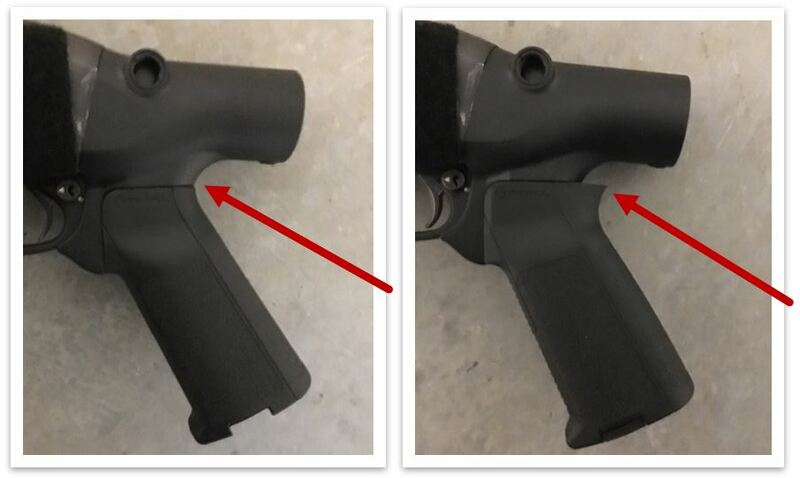 Additionally, most 10/22 stocks that opt for AR-type furniture use a fixed pistol grip and a plastic buffer tube placeholder. A few stocks permit use of a true buffer tube, detachable pistol grip, and/or free-float handguard, but only a precious few let you choose all three. The Crazy Ivan 10/22 stock and the Nordic Components AR22 stock kit are the only 10/22 stocks on the market (that we are aware of in Q1 2019) that nail the trifecta – any pistol grip, any free-float tube, and any buffer tube. Folding stock adapters (like the ones from SB Tactical and Matador Arms) and stabilizing braces for 10/22 Charger pistols are up for grabs, as well. 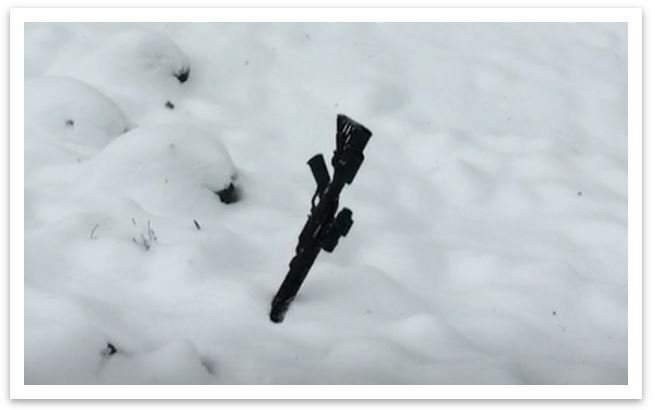 However, the Crazy Ivan stock weighs only about 50% of the Nordic Components AR22 stock, while costing about $50 less at the same time. The Crazy Ivan 10/22 stock is a well-packaged product, which was a pleasant surprise. 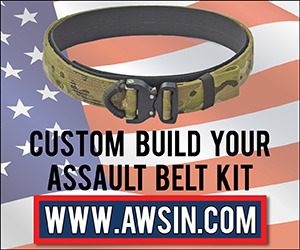 The assembly instructions include a parts diagram, and every fastener and small part you could need is included with purchase. There is even a plastic retaining washer to keep the takedown screw captured during disassembly. In the grand scheme of ownership, good packaging goes by in an eyeblink, but it was a sign of the good and sensible design choices that were to come. Since .22LR rifles are not typically relied upon for defending what's precious to you, the Crazy Ivan stock is the perfect opportunity to buy those eye-catchingly cheap AR-15 components that constantly fill our respective inboxes and mailboxes. We ordered up the cheapest furniture we could find - an AIM Sports free-floating MLOK handguard for $43.99 and a Blackhawk! Knoxx Carbine Stock for a mind-blowing $7.99. A pistol grip, buffer tube, and other small parts we scavenged from our respective workshops, and then we were in business. This stock is very light - Crazy Ivan LLC went to a lot of effort to ensure that extra ounces were machined off. Fully assembled with handguard and buttstock, the Crazy Ivan 10/22 stock is only 5.5 pounds, roughly one pound heavier than a bone-stock 10/22. 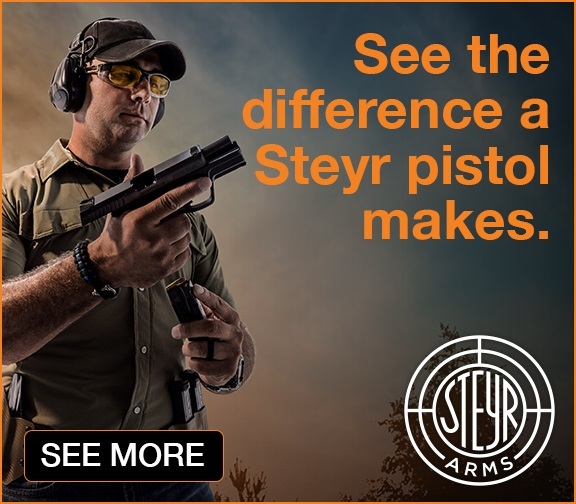 That’s a fair tradeoff considering you’re getting all-aluminum construction, a free-floating barrel, and an adjustable stock. Most aftermarket “tactical” 10/22 stocks add a lot more than a pound, so the Crazy Ivan stock is just about as light as you can get when putting AR-15 furniture on a 10/22. Despite its dainty weight, the stock is also tough as a bucket of old nails (more on that in the Live Fire Handling Observations section). One complaint, though, is the lack of machining under the optic rail - it's a solid block of aluminum that feels very dense in the hand. Some lightening cuts, or even just a row of simple holes, would lighten this area up nicely. Many plastic and hardwood 10/22 stocks add material around the magwell to strengthen the stock, but this adds weight, reduces visibility and access to the magwell, and with some odd magazine designs like the BX-50, it can actually prevent the mag from locking in until you inlet the stock. However, the Crazy Ivan stock's minimalist silhouette leaves the magwell completely exposed, making for quick and hassle-free reloads. The Crazy Ivan stock adds a nifty receiver thrust screw, which you tighten against your 10/22’s receiver after install. This firms the receiver’s fit into the stock without going to the hassle of bedding the action, and is a great add-on feature that’s typically only found in custom stocks. 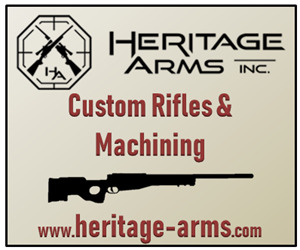 All parts needed to accommodate any handguard or buffer tube are included with purchase. The receiver thrust screw is a “set it and forget it” feature that you adjust before installing the buttstock. The stock comes with a custom endplate to keep the buffer tube from rotating. Most 10/22 stocks just mash the pistol grip up against the trigger guard, giving an unpleasantly short trigger length-of-pull. 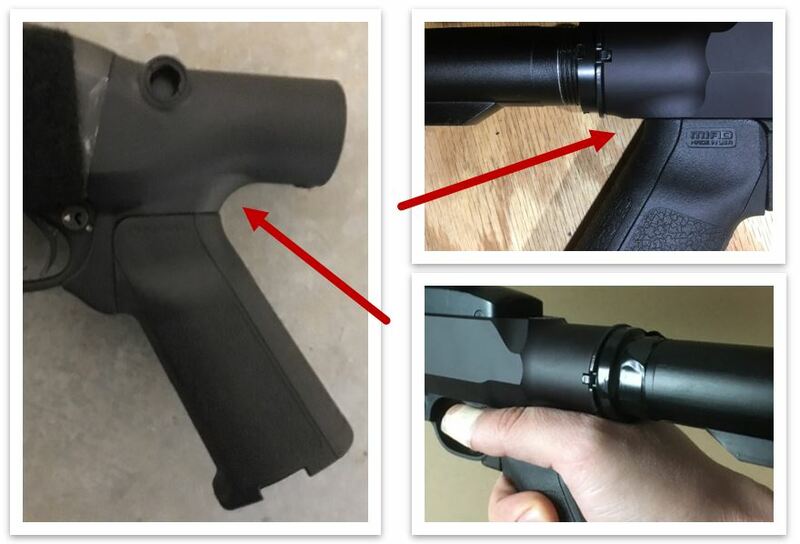 Crazy Ivan LLC went to the effort to ensure proper length-of-pull for your finger, adding extra space between the grip and the trigger guard. However, this results in an unsightly gap between the trigger guard and stock, which Crazy Ivan LLC thoughtfully fills with a plastic, contoured plug. We say “thoughtfully” because most 10/22 stocks with this gap either ignore it (like the Rhineland Arms Para) or force you to pay extra for the plastic plug (like Nordic Components). ​ your trigger finger,​ but adding an unsightly gap. An included plastic spacer plugs this up. Sadly, the Crazy Ivan stock cannot use AR-15 grips with beavertails. The buffer tube sits too low, and this also throws off the sight plane from standard AR-15 height (more on that in the Sight Plane section). However, any non-beavertail AR-15 grip is good to go - just slide it onto the tang and screw it in place. If you have a preferred grip, you can also just cut the beavertail off, although you may have to sand down the cut until it is flush with the stock's profile. 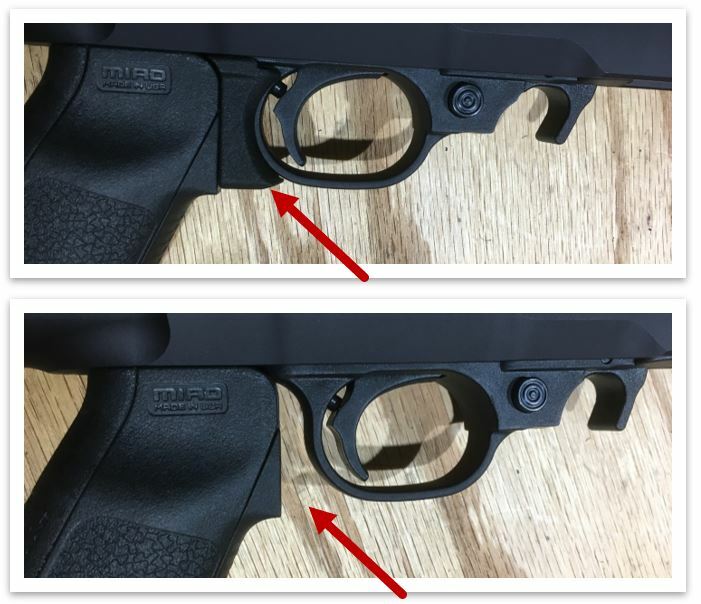 This TacStar Stock Adapter for a Remington 870 has the same problem as the Crazy Ivan stock - a grip that is factory-fitted without a beavertail (left) provides a smooth contour, but you can’t just cut the beavertail off of a grip (right) without leaving an uncomfortable ridge. The lack of a beavertail is actually very noticeable, unfortunately, because the Crazy Ivan stock sits the buffer tube so low and close to the shooter's grip that the castle nut can actually dig into the web of your hand. Not every shooter has a high-hand hold on their rifle, but if you do, you'll notice that this gets uncomfortable very quickly. Crazy Ivan LLC noted to us that the buffer tube's low mounting was all in the name of reducing size and weight as much as possible, and recommended wrapping a bit of paracord around the castle nut or sanding it down. They also said they're thinking about setting the buffer tube a bit farther back for future models. We wrapped some electrical tape around it and called it good. ​curved area for the web of your hand. The Crazy Ivan stock (right) butts the web of your hand right up into the castle nut at a harsh angle. There are a few 10/22 stocks that let you use AR-15 handguards, or at least, things that look like AR-15 handguards. These “other” stocks sometimes require modifying an existing handguard, or purchasing a custom handguard directly from the manufacturer. With the Crazy Ivan stock, the world is your oyster. Anti-rotation tabs: no problem. Two-piece barrel nuts: no problem. You could even mount up a two-piece plastic handguard, if you so desired, if you had a gas block that fit the 10/22's barrel. We can’t imagine why you would want to do that, but just the fact that you can do that, using the Crazy Ivan stock, is pretty cool. Even handguard with anti-rotation tabs have no problem fitting the Crazy Ivan stock. ​Unlike some other free-float designs like the PMACA 10/22 chassis, the Crazy Ivan stock does not force you to slip the barrel in and out of the handguard every time you install and remove. Instead, the whole upper assembly is monolithic, which is both sturdier and permits a rail-mounted front iron sight to retain zero. Despite the Crazy Ivan stock's commitment to using AR-15 furniture in just about every spot possible, it does not have the same sight plane as an AR-15, so you can't use AR-height sights or optics without losing your cheek weld. 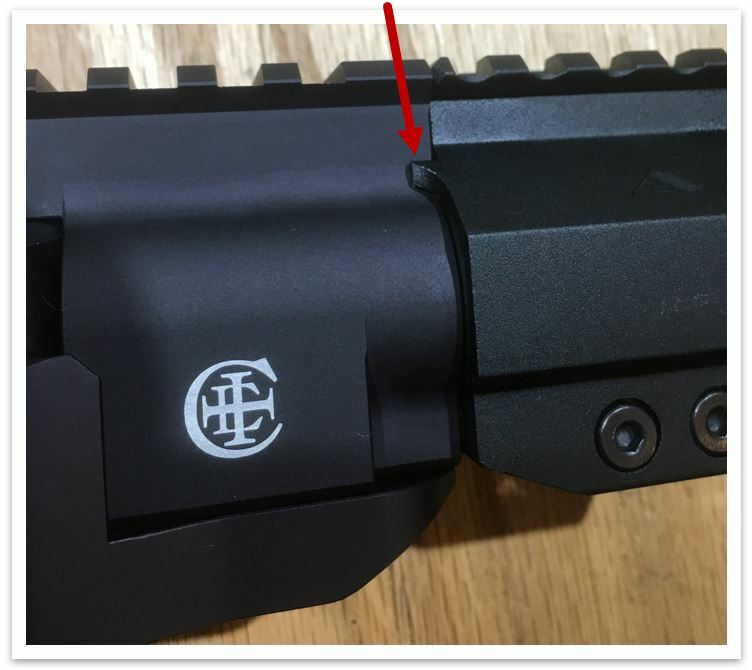 Cheek risers are pretty widely available for lots of different AR-15 stocks, so it's not exactly a dealbreaker, but this is probably the biggest let-down about the stock overall. It gets so many things right, and we really wanted it to be perfect, but, c'est la vie. 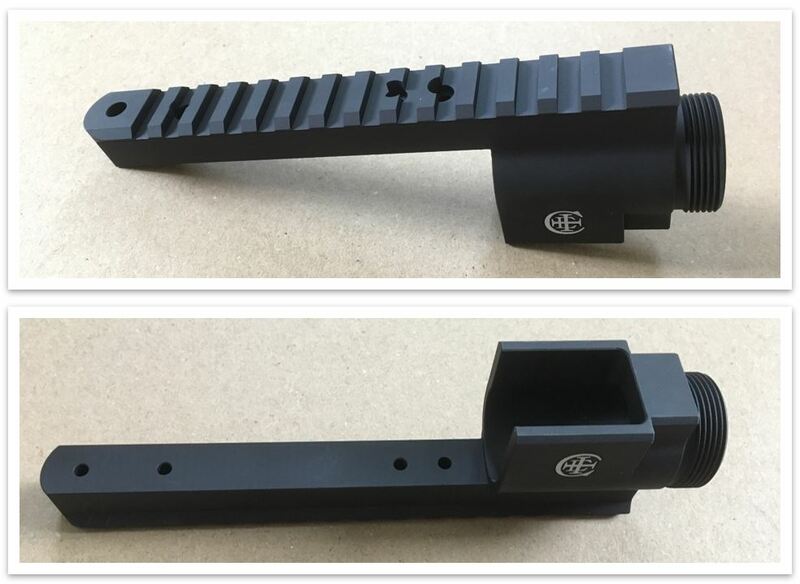 If you slip any generic AR-15 stock onto the buffer tube, the Crazy Ivan stock's top rail gives good sight alignment out of most low or extra-low rings on the market. Alternatively, a "micro" red dot, like the kind often mounted to AK-style rifles, feels just about right. Low-rise iron sights, like those for a Scorpion Evo, will also be comfortable since they rise to roughly the same height. A micro red dot, like the one shown here, lines up nicely with the cheek weld offered by most standard AR-15 buttstocks. ​Curious about other sight options, we rustled up a pair of comb risers meant for generic M4-style "waffle" stocks, and they fit the Knoxx Carbine stock just fine. The shorter riser, which lifts the cheek by 0.7", put the cheek weld bang-on for AR-15 iron sights, or an absolute co-witness optic. The taller 1.25" comb riser brings the height up to a lower 1/3 co-witness, so you can use just about any optic you want as long as you’ve got the cheek risers to match. These risers don't fit every stock on the market, but many manufacturers, from Magpul to MFT, sell cheek risers specifically matched to their lineup of stocks. Screw-adjustable comb risers like the Magpul PRS are also an option. Or, you can break out the foam pipe insulation and duct tape - a surprisingly durable approach to getting a light, cheap, and completely custom-fit cheek riser. We asked why Crazy Ivan opted for a low-mounted buffer tube, rather than the high-mounted stock that would have aligned with AR-15 height sights, and were told it to both save weight and keep machining costs down - a bar of billet big enough to put the stock at the right height would have been much more expensive, both in raw materials and in machining time. The low-mounted buffer tube also reduced weight, which isn't something we ever argue with. Disassembly is reduced to just the one action screw, which is a major plus over most free-float tube 10/22 stocks which force you to slip the barrel inside the handguard every time you install and remove. Routine cleaning is also no more difficult than on the factory 10/22. Although the Crazy Ivan stock has a thrust screw in back of the receiver, this is a “set it and forget it” feature that doesn’t impact routine disassembly. AR-15 furniture is popular for a reason – it’s comfortable and highly adjustable. Adding it to the 10/22 is a solid idea, and the Crazy Ivan stock is one of the best ways to do it. The stock is light and easy to carry, and the reach to the safety and trigger is comfortable. We didn’t print any groups because we didn’t see any noticeable accuracy improvement using this stock, but it replaced a well-bedded Hogue unit so that wasn’t unexpected. All-aluminum construction means this stock definitely won’t make your 10/22 less accurate, and the odds are good your groups will shrink. We whacked it on trees, kicked it around in the snow, and even frisbee’d it down a (snow-covered) rock slide, but mostly just to say that we did it. Durability isn't really a question mark - it's literally a billet aluminum bar that's been machined into shape. It will not break, crack in the cold, or get soft with age. The stock, grip, and handguard you attached to it will wear out decades before the stock, and when they die, they'll leave a marred but perfectly functional tang or threaded hole to attach the replacement. ​​The Crazy Ivan stock is truly an heirloom-grade part - a rare find in the plastic-fantastic 10/22 stock market. In an old quarry – nothing but rocks under the snow. 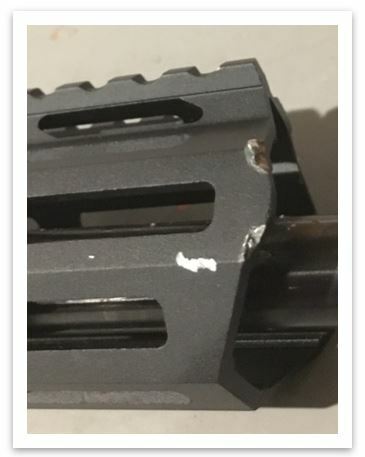 Our bargain bin AIM Sports handguard got pretty gouged up, but the stock itself came through without any scratches worth taking pictures. ​There’s a lot of junk in the “tactical” 10/22 market, with most products oriented toward low-cost kit for a plinker gun. However, that doesn’t mean that adding AR-15 furniture to the platform is a bad idea. 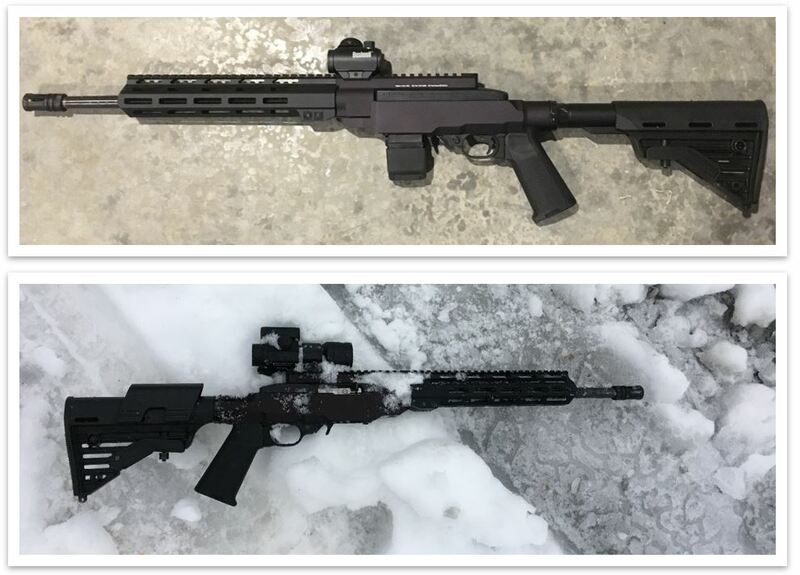 Crazy Ivan LLC set out to make a rock-solid and accurate stock, and they’ve done exactly that. If you’d like to put AR furniture on your 10/22, but also expect bomb-proof durability alongside sizzling performance, then despite a few small trouble spots the Crazy Ivan stock is tough to beat. It’s a pricey stock, but as the saying goes: performance, durability, and low price – you may only choose two.